We are glad to announce that Webkul is again organizing the Magento Meetup 2018 on 8th of December 2018 after the huge success of Magento Meetup 2016. You can join the event and grasp some community findings and knowledge by the industry veterans. The complete meetup will be focused on e-commerce industry, tech stack, and the best practices to be used in the Magento Development. It is beneficial for Magento Developers, Merchants, and business personnel as well. It will be a huge opportunity for everyone to network with the industry veterans and the e-commerce community. This Meetup is for everyone (Merchant, Developer, Online marketer etc ) who is interested in e-commerce. If you are willing to present your expertise and knowledge as a speaker, we are really interested in your ideas. Get in Touch and let us know, what you’re planning with. Wish to Sponsor Webkul Magento Meetup 2018? Be a Sponsor and outreach to 25Mn online Webkul Visitors, Contact Us and we’ll get back to you. 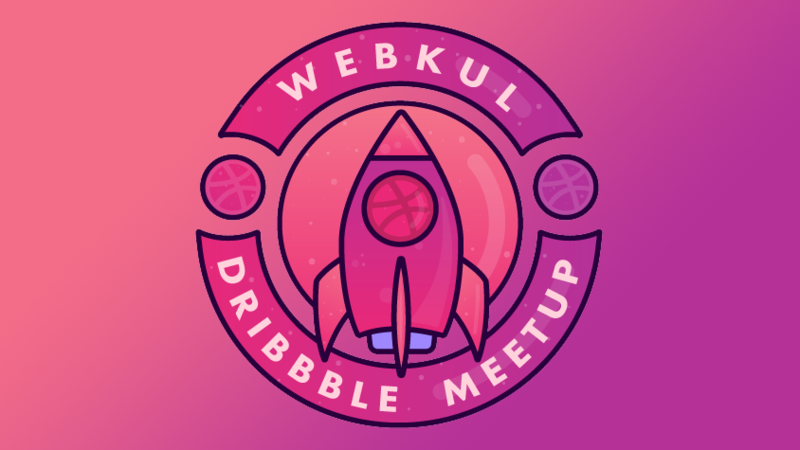 Webkul is organizing the Dribble Meetup 2018. on 24th November 18 11:30 to 16:00 Hrs. It is to engage with the local design community and pixel enthusiasts from the town. Booking will be available after 27th October 2018. Symfony India Meetup is the only Meetup about Symfony in India, we are organizing the first meetup on December 15th. Join us to meet other developers using Symfony near you! Exchange ideas and talk about code, architecture, innovation, and this world-class PHP framework.